The days of native mobile apps are over. 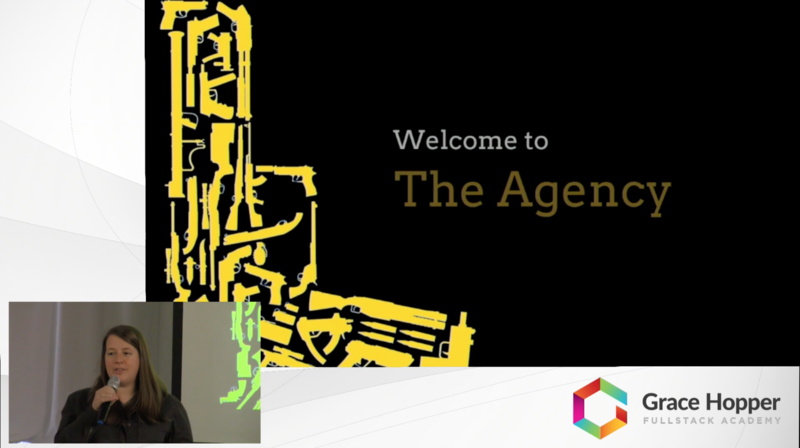 The Agency is an SMS-based spy/adventure game that lets users meet new people and explore the city. Agents are sent on secret missions made up of individual challenges. The challenges can require agents to send texts and images, or to make voice calls to submit evidence. Agents can tour New York with different thematic missions like "Intrigue on Wall Street,", “The Dark Underbelly of Broadway’s Bright Lights”, and "Grace Hopper and the Missing Bone". Made with Twilio, Clarifai, Watson Speech-to-Text, Node.js, React, Redux, and Material-UI, The Agency maintains a complex user state on the backend as well as a lighter-weight web app that allows agents to keep track of their completed missions and allows administrators to edit and create new missions and challenges.